What does the future hold for Chinese civil society? Last Monday, the Chinese government finally published the second draft of the Foreign NGO Management Law, a law that could completely alter the way foreign NGOs operate in China. 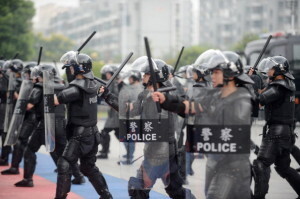 With the proposed layers of government control and final oversight by the China’s Public Security Bureaus (“PSB”), NGO work will become extremely difficult if the law is enacted in its current form. 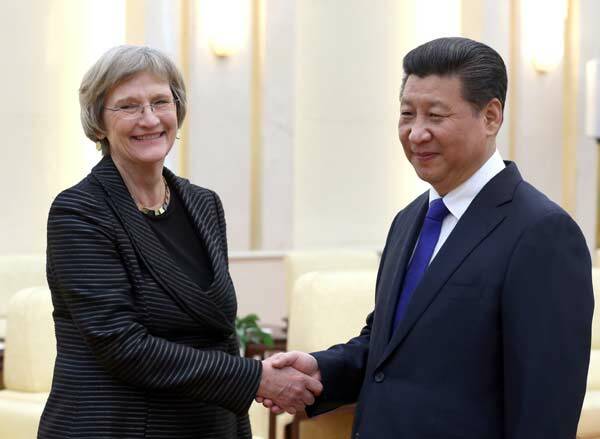 While foreign NGOs will feel the initial pinch, the true victims will be the Chinese people. 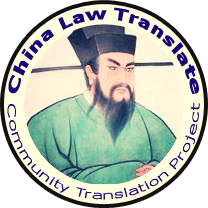 Currently in China, Chinese NGOs – grassroots groups that seek to alleviate poverty, eliminate discrimination and conduct other activities that benefit the average citizen – are largely funded by foreign NGOs, especially those groups whose issue is considered “too political.” And even where foreign NGOs do not offer funding, they provide essential training, informal advice and moral support that helps grow China’s nascent civil society. Unfortunately though, the current draft Foreign NGO Management Law will result in fewer foreign NGOs able to work in China and as a result, will set the Chinese people back in their ability to vindicate their own rights. Why would the Chinese government seek to squash civil society at this juncture? 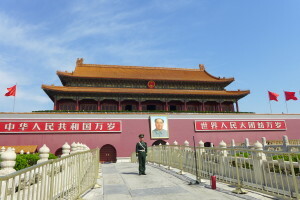 Many of the government’s own social reform agenda items – ending corruption, ending re-education through labor, reforming the hukou system – have come from these civil society groups. So why now would the Chinese government look to pass a law that could severely limit the growth of civil society? that adds greater transparency to the sector. For groups that are lobbying government officials or seeking to change the law, knowing the source of funding – even if the funder does not meddle in the organizations daily affairs – is something we deem important to know. The Chinese government is no exception nor should it be. Only months ago were Americans shocked to learn that foreign governments donate money to many U.S. think tanks, with the implication being that this source of funding impacts the organization’s research direction. It is why many Americans despise the Citizens United decision – it hides who is donating to a politician, with the inference being that the money sets the politician’s agenda. But transparency is not what this law is about. If it was, foreign NGOs could easily continue to be regulated by the Ministry of Civil Affairs. But the Ministry of Civil Affairs is nowhere to be found in the draft law itself. Instead, it has largely been replaced by China’s public security apparatus. It is the PSB that has ultimate say if the foreign NGO can establish a representative office or conduct temporary activities in China (see Art. 47). The PSB can, on its own volition, conduct on-site inspections of the China office, question individuals involved with the “matter being investigated,” copy or “seal” documents and when the PSB determines necessary, “seal” the venue related to the “matters being investigated” (see Art. 49). The law is silent on what would give the PSB cause to disrupt the work of a foreign NGO, allowing for potential harassment. The role of the security apparatus should not come as a surprise. Since April 2013, with the drafting of Document No. 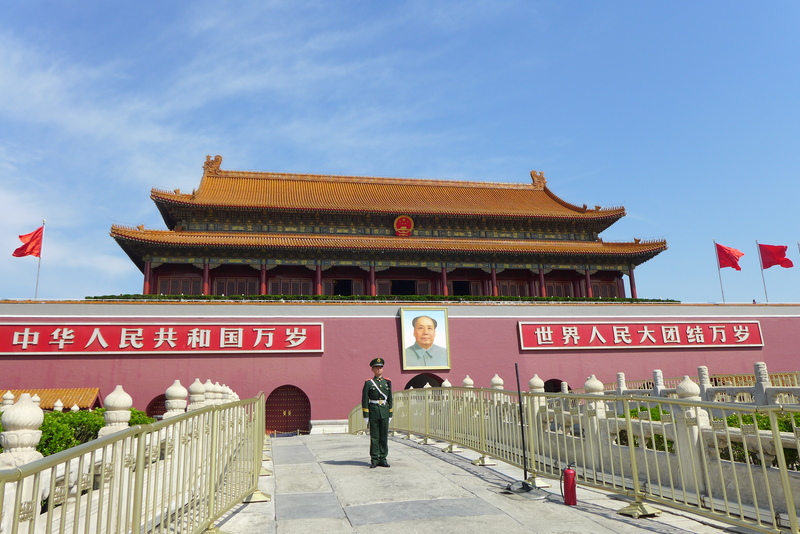 9, an internal Chinese Communist Party (CCP) communiqué highlighting what the CCP leadership perceived at the greatest security threats to its rule, civil society has been one of “seven perils” to the CCP’s power. In November 2013, Xi Jinping, China’s new president, announced the formation of a National Security Commission, answering directly to him and that would handle both foreign and domestic security threats. In April 2014, the National Security Commission held its first meeting. A “penetrating review of foreign NGOs” was on the agenda. In December 2014, Yang Huanning, the Vice Minister of Public Security, introduced the initial draft Foreign NGO law to the Standing Committee of the National People’s Congress. Although circulated among Chinese who would be effected, the first draft was never officially circulated to the foreign NGOs who would be impacted. Public security’s larger role in society is likely its way to justify its ever ballooning budget. 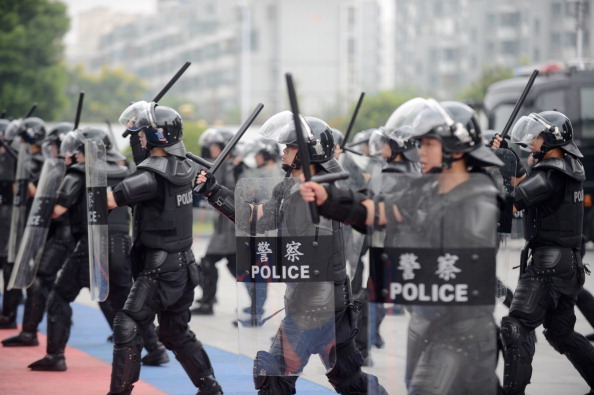 In 2013, spending on domestic security outstripped the government’s spending on the People’s Liberation Army. Since that milestone and the attention that fact received in the foreign press, the Chinese government no longer publishes the full domestic security figure. But it likely still continues to rival the amount spent on foreign security. The Ministry of Public Security, and now the National Security Commission, must find ways to justify that spending, and arguably part of that justification is the threat of “Western agents” acting through foreign NGOs. The Foreign NGO Management Law embodies that paranoia. Will Foreign NGOs Even Have the Resources to Follow the New Law? The law itself does not shut down foreign NGOs in China or prevent foreign NGOs from hosting events in China. Instead, through an onerous, supervisory structure, it makes getting anything done in China time-consuming and expensive. Survival of the fittest will dictate which NGOs go and which stay. Will this cooperation be allowed to continue? of a Professional Supervisory Unit (PSU) (see Art. 11), presumably a government agency or government-approved organization in the foreign NGO’s field. A legal-oriented foreign NGO would seek to establish a relationship with the Ministry of Justice as its PSU. Only after it receives this consent can the foreign NGO apply for approval with the PSB (see Art. 12(6)). But here is the rub, how many foreign NGOs can one government organization sponsor? Would the Ministry of Justice establish a relationship with every legal-oriented foreign NGO seeking to establish an office or would it pick one, two, or maybe a handful? It’s not their business to sponsor foreign NGOs and presumably, these government agencies have limited capacity to do so. 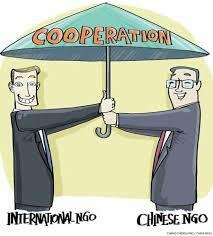 Even if a foreign NGO can partner with a quasi-government organization, there are still not enough of these to cover the number of foreign NGOs with offices in China. By one estimate, there are close to 1,000 foreign NGOs in China. As a result, some will inevitably be forced to leave China because of their failure to establish a relationship with a Chinese PSU. But the relationship with the PSU does not end with registration. Every year, the foreign NGO will have to submit two documents: (1) an activity plan that delineates the implementation details for the following year’s projects (see Art. 24) and (2) an annual work report which must include financial accounting and audit reports (see Art. 37). For smaller foreign NGOs with limited resources, hiring someone to handle this paper work might not be the best use of its funding. Even if a foreign NGO can establish a relationship with a Chinese PSU, at some point it will become debatable if it is even worth it economically. And if that is enough to discourage a foreign NGO from establishing a representative office, the procedures are required to be repeated every five years. (see Art. 15). Those foreign NGOs that think working from abroad will be less onerous will have a rude awakening. Under the draft law, they must also establish a relationship with a PSU before applying for a “temporary activity permit” from the public security bureau. (see Art. 20(3)). Again, it will be interesting to see how many eligible PSUs will establish relationships with foreign NGOs. As the law stands now, foreign universities are not exempt from the draft law. What foreign NGO is covered by the law is unclear and the vagueness means that anything that is a not-for-profit abroad is covered by the law. Even the state-run Global Times highlighted the negative impact the first draft of the law could have on academic exchanges. It appears those issues remain in the second draft as well. Where Will All The Funding Go? Any argument that the draft Foreign NGO Management Law will lead to necessary transparency is belied by the rigorous regulations that will make it impossible for many foreign NGOs to legally do work in China. For many that will mean a decision to leave China. But, as Thomas Carothers and Saskia Breechenmacher highlighted in their prescient report, Closing Space: Democracy and Human Rights Support Under Fire, some organizations committed to staying in a country with increasing harsh laws against foreign NGO funding, might implement a policy of “distancing.” Distancing is essentially the opposite of transparency – trying to hide the source of funding through various offshore means. But this avenue, with its greater risks to the foreign NGO and in particular to its partners in China, will be used by very few. The ultimate result of the draft Foreign NGO Management Law is that a large number of grass-roots Chinese NGOs that are doing essential work in China will close. To see how the spirit of the draft Foreign NGO Law is already being implemented, for Part 2 of this three-part series, please click here.